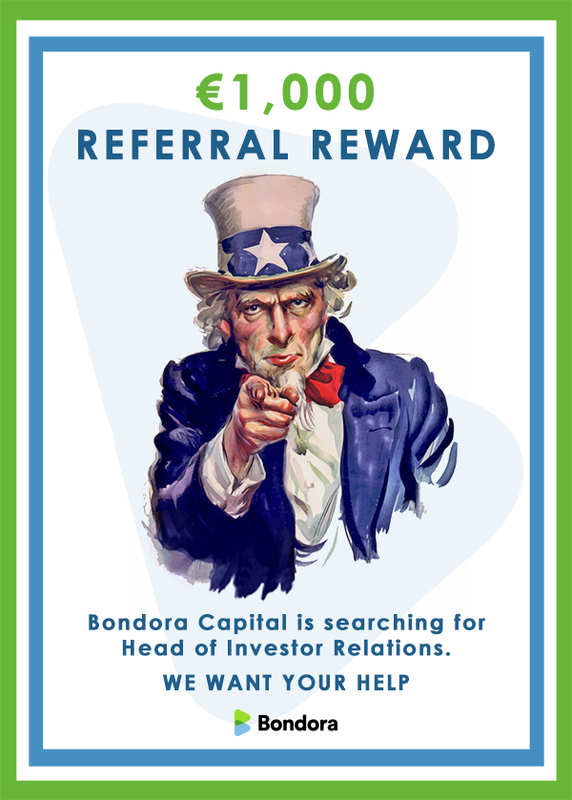 Bondora Capital is searching for Head of Investor Relations. Finding the perfect person will help you getting the best service possible from Bondora. We are also giving away €1,000 in cash to make it worthwhile for you to support us. Let us know if you have a friend, colleague or a family member that would be perfect for the Head of Investor Relations position at Bondora. First take a look at the job description and make sure the person you are thinking of really fits the bill. Talk to the person you think would be suitable and see if they are interested. When pitching the position, make sure to refer to the job description in our blog. If they are interested, forward their contact information along with their CV or link to their LinkedIn account to [email protected] (along with a reference to this offer) and make sure your friend knows we will be contacting them. In case your friend is hired, we will pay you a reference fee of €1,000 four months into the contract. Share the word and help make Bondora better!